Vomo Island just offshore from Viti Levu. Vomo Island is surrounded by vibrant coral reefs and covered with a lush landscape that includes a mango forest and coconut groves. Vomo Island is the perfect place to get married for those looking for a beautiful tropical island wedding. Honeymoon couples will enjoy the various honeymoon packages that include cool experiences such as escaping to your own private island for a romantic picnic and day at the beach or private dinners arranged by the staff. 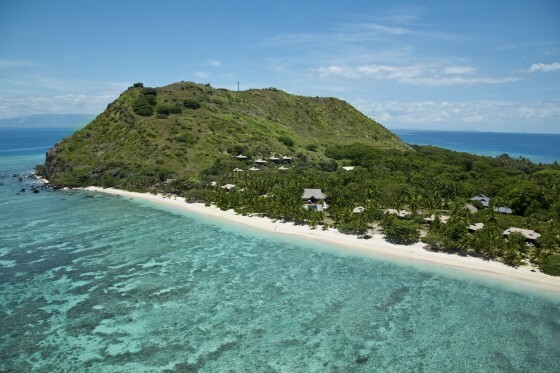 Call us at 1 415 827 4981 and our Virtuoso Travel Advisors will help arrange a incredibly romantic Fiji vacation for you.